LOOK at that guy driving the Porsche 911 Turbo, the Ferrari 488 GTB or Lamborghini Aventador. Most of us car-types battle the usual shades of green then smugly say: "I bet he doesn't even know what it'll do." Of course they don't. Not really, anyway. Unless they have the Nurburgring in their backyard and their day job is development driver for a supercar brand. These exotics have so much ability, technology and brilliance that only a select breed of professional driver could appreciate them at their limit. But you know what? Same could be said of our every-man everyday cars of today too. Look back a few generations and it wasn't hard to explore the limits of a car. It's why so many family Commodores and Falcons with rear-wheel drive and no traction control ended up down embankments or up trees once roads got a mite soggy. We knew the limits of our cars because we'd often very easily find them, planned or otherwise. 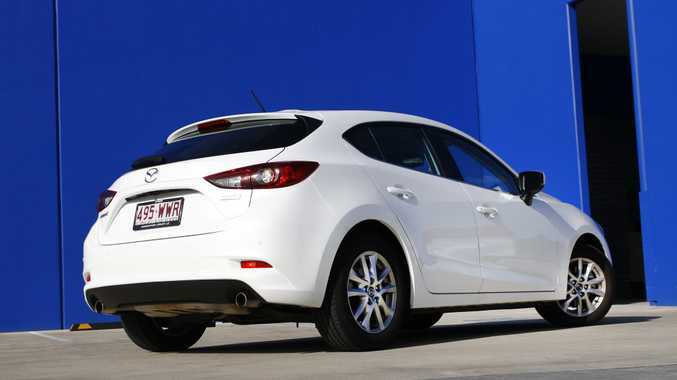 So let's take a modern Mazda3 then, one of Australia's best-selling cars. It's to the car's testament that very few of its owners (of which there are many - we bought more than 36,000 of them last year) will ever appreciate its dynamic talents. This isn't a slur on the drivers. We buy Mazda3s to be reliable and economical family carriers that serve us in comfort on our commutes and in town traffic. Having lived with one for two months now on a long-term test, all these boxes have been successfully ticked. 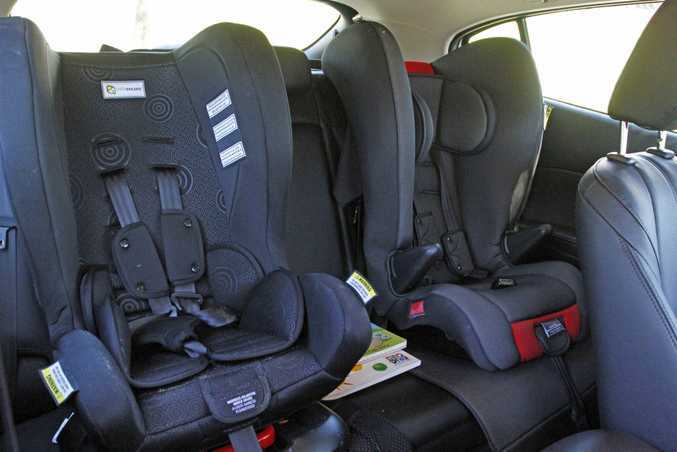 But isn't it a huge bonus to know that should the roads get treacherous, should we have to take quick evasive action or should we make a mistake such as misjudging a tight corner, that modern popular family cars like the Mazda3 are likely to save our skins. 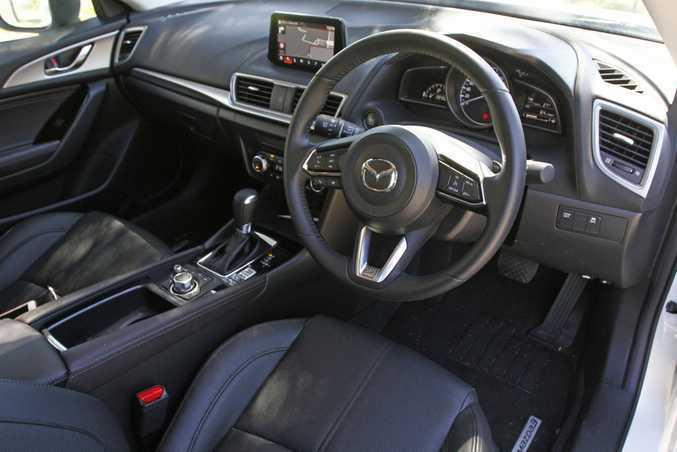 As with all modern cars there's the usual stability and traction control included to pull you out of trouble when your talent runs out but the Mazda3 also uses the brand's "G-Vectoring Control" technology. It's a complicated old thing to explain but basically the system takes into account your throttle, steering angle and the speed you're turning the steering wheel, the computer does some rapid calculations and adjusts engine torque to optimise weight transfer, much like the finest race car drivers do. It's subtle, undetectable really, but the smoothing out of the G-forces reduces the need for steering correction in corners and improves balance. Ergo, driver enjoyment and safety are boosted. The science may be daunting but from the driver's seat the Mazda3 is really a cracking and grippy thing to drive on more challenging roads. Not truly fun like a sports car but it gives you strong faith in its road-holding abilities. Above all, it has made me feel safe on both wet and dry roads and that is key when choosing a family car. Beyond that, it's been business as usual on the family duties front. I've completed nearly 3000km and am returning an excellent 6.3-litres/100km and the hatchback managed to swallow (just) my BMX, my son's bike and daughter's trike for a family cycling day. There'd have been no chance in a small sedan. 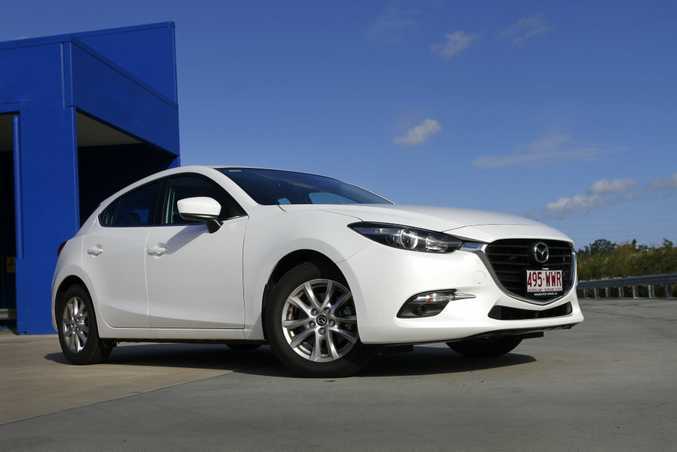 I'll do a final report next month as our three-month Mazda3 test comes to an end. Fuel economy as tested: 6.3-litres/100km.